PEARLAND — The Alief teams were no match for Pearland last week as the Oilers pounded Taylor 21-0 and shut out Hastings 7-0. Pearland rolled to a 21-0 five-inning win as Matt Adams and Clayton Broeder combined for a no-hitter. Adams pitched three innings and struck out six while Broeder pitched two innings and also fanned six. Parker DeLeon had four RBIs while Ryan Finke had two RBIs. Carter Allen also drove in two runs for Pearland. In addition to his strong mound performance, Adams also had a four-hit night while teammate Sam Velasquez added three hits. Ray Castro was the winning pitcher for the Pearland Oilers as he allowed three hits and zero runs over four innings, striking out four and walking zero. Shawn Huber threw three innings in relief out of the bullpen. 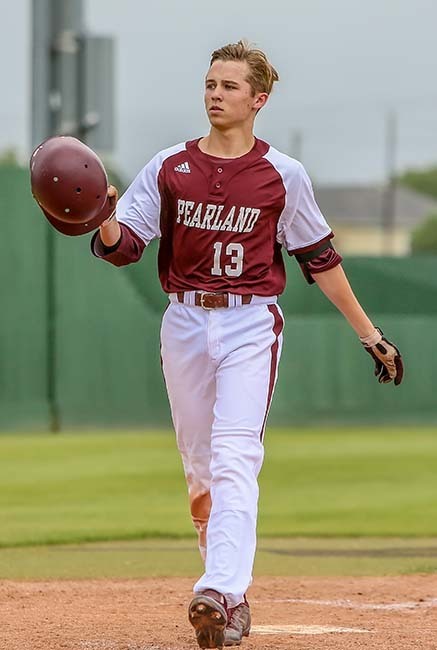 Pearland got on the board in the second inning when Clayton Broeder doubled on a 1-2 count, scoring one run. The Oilers put up five runs in the third inning as Matt Adams, Huber, and Parker DeLeon each drove in runs during the inning. Pearland socked two home runs on the day. Huber put one out in the third inning. Adams had a four-bagger in the third inning. The Oilers tallied ten hits in the game. Sam Velasquez, Broeder, and Adams each managed multiple hits.